Let the edge lengths of an isosceles tetrahedron be , , , , and . 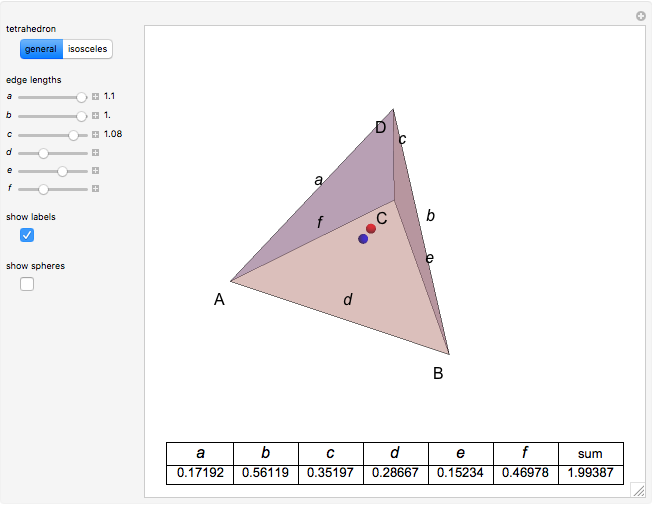 This Demonstration shows that the sum of the cosines of the dihedral angles in equals 2. This is not true for a general tetrahedron, in which opposite sides need not be equal. 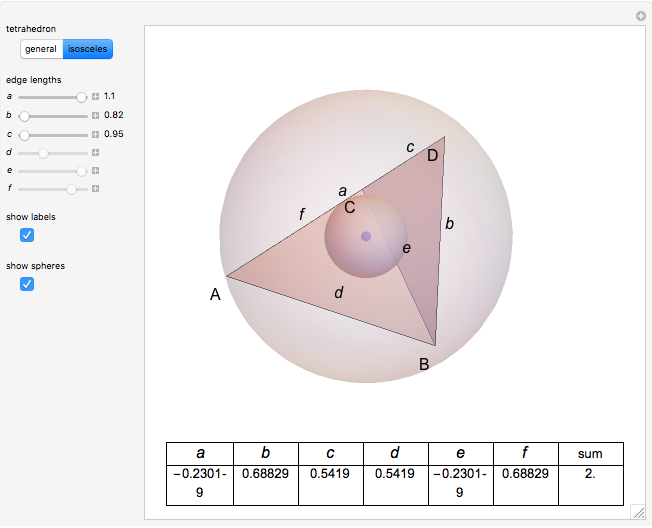 The derivation makes use of the inscribed and circumscribed spheres of the tetrahedron. In the table, stands for the cosine of the dihedral angle between the two opposite sides ABC and DBC, and so on. For an isosceles tetrahedron, the centers of the inscribed and circumscribed spheres coincide. The centers of the inscribed and circumscribed spheres coincide if and only if the tetrahedron is isohedral (that is, the faces are congruent). 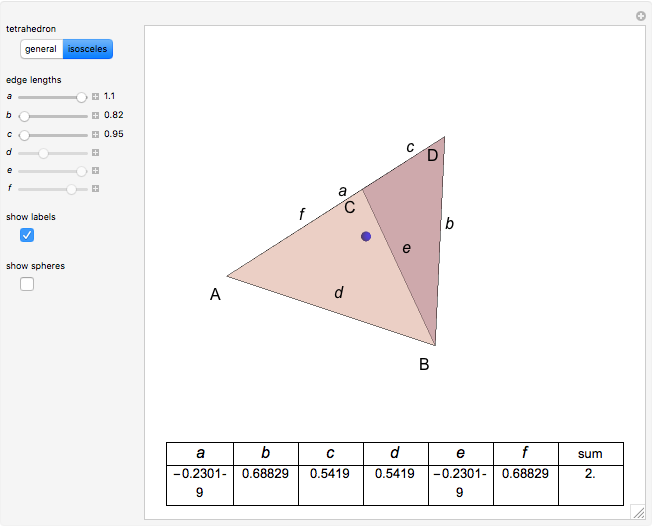 This is the case for an isosceles tetrahedron [1, pp. 103, 104, 118–120]. Izidor Hafner "Theorem on the Dihedral Angles of an Isosceles Tetrahedron"